What the screenwriters knew, writers of fiction also know: viewers and readers like to be asked by a story, “What would you do?” Don Winston does just that in his latest, Our Family Trouble, in which the Bell Witch returns to haunt modern day descendants of the Tennessee families originally under her curse (Bacon review here). Don will read, sign books, and chat at Parnassus on Monday, May 1st, and today he’s kind enough to to answer some questions at Bacon. Hi Don! Thanks for doing this Author Interview! Even though we’re friends – or maybe because we’re friends – I’m going to ask some possibly invasive questions. You can refuse to answer. Okay? Thanks for asking me, Jennifer. And bring it on! Our Family Trouble is a departure from your previous novels. How? And more importantly – why? I think the story tells you how it wants to be told. My first three novels are yarns, paranoid tales of entrapment. They tickle a certain part of the brain. Our Family Trouble is more grounded. It asks: What would a prominent Nashville family do if they thought a demon was stalking them? They’d be in denial, of course. The Bell Witch is just a myth, right? But I don’t let them stay in denial. There are still psychological elements here, but ultimately the Bell Witch – or whatever it is – is going to bring this family together, or tear them apart. It’s a departure from my other novels because it wanted to be told differently. But it’s still freaky. What part of writing this book did you enjoy the most… research? Imagination? Did it come easily to you? Where does a novel come from? Imagination and research feed off each other, and I like them both. Typically a place will inspire me first: Sewanee, the Pacific-Union Club in San Francisco, the Bucks County Playhouse in New Hope, PA. I get a little obsessed with these places. From there, characters and conflicts develop, all grounded in the real places. And then I listen. I try not to prod them. With the right amount of research and old-fashioned daydreaming, the story often comes to life on its own. 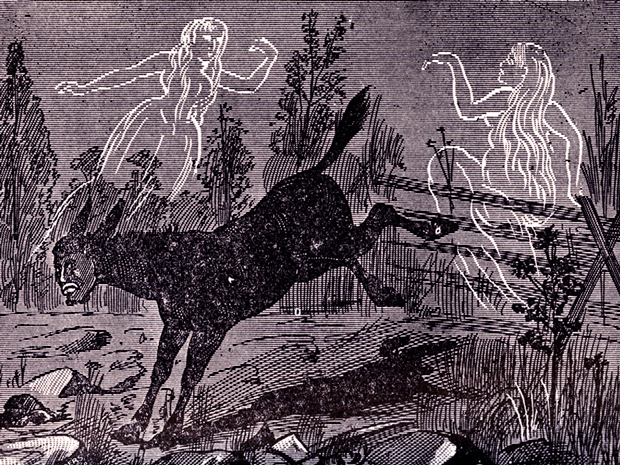 The Bell Witch is such a fascinating legend, richly layered and with so many eyewitnesses. She was quite schizophrenic: a relentless tormentor to some, a benevolent caretaker to others. And unstoppable. I went many times to the Bell farm in Adams. And yes, I got obsessed. Hence, my new thriller. She promised to return, and now she has. Which of your novels has been the easiest to write? 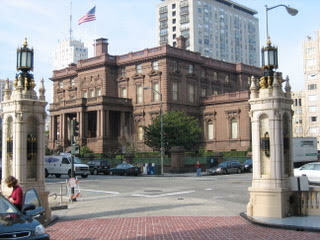 Probably The Union Club because I had an excuse to explore San Francisco high society. I made so many trips up there, and I warned them I was going to turn them into villains, which they got a kick out of. I got invited to all sorts of places, and it helped fuel the story. But if you think of a story as three acts, I have the hardest time with the second half of the second act. You have to start resolving, and explaining, but also keep building tension. That’s a recurring challenge, and I think pretty common in all storytelling. Okay, very hard question: Which is your favorite child? Totally not fair. Tell me what’s most special about each one. I’ll always have a soft spot for S’wanee, since it was my first. But it’s also the most brutal. I don’t think I’ll write anything quite that dark again. Not sure what got into me. The Union Club is the most sophisticated, and The Gristmill Playhouse is the most fun. Our Family Trouble is the most visceral and real. But they’re all pretty twisted. I can’t explain that, really. I assume you learn something about yourself and about the writing process with each novel. What did you learn from Our Family Trouble? I learned that I could do it again. That’s always the panic when you start on page one: Can I do this? Will a book come out on the other end? And I learned that if the story is important enough – frankly, if it’s fun enough – I’ll get there. My books are suspense, so when I hit a wall, I know the lurking danger needs to turn up the heat some, to nudge the characters closer to crisis. If I’m anxious to get to the next page, I assume (hope) my readers will be, too. I also learned that the key ingredient to suspense is waiting. Without waiting, there’s no suspense. Hitchcock knew that better than anyone. You have to wait as long as possible to spring the trap. But the reader KNOWS the trap will spring, and that’s suspense. I spend a great deal of my books loading that trap. Part of your life is spent very privately. Writing a novel is a solitary endeavor, right? Part of your life is spent in a very public space; most recently, for instance, playing a major role in writing for the Costume Designers Guild Awards (which you’ve done for years). You live in Hollywood, where “all the world’s a stage.” How does this tension play out for you? How does it affect the novels you write? I try to balance the extrovert and introvert. Yes, writing a novel requires tons of time alone; there’s no other way. But I’m also pretty social and don’t want to be a hermit. So like most people, I work during the day and then go on adventures nights and weekends (Hollywood has plenty of adventures). Hemingway advised writers to leave it all behind at the end of the day. I’m unlikely to argue with him. Jami Attenberg (All Grown Up, The Middlesteins) wrote in the New York Times Book Review recently: “Why don’t people just read the fiction, though? What is behind the fascination with the real-life connection between authors and their work. The more cynical side of me thinks it’s the reader’s sense of entitlement to any piece of information she desires. The more forgiving side imagines the reader views it as a mystery to be solved, an added pleasure upon pleasure. Or perhaps it’s something more obvious: Discussing autobiographical elements is much simpler than focusing on craft.” What do you think? I wonder what set her off so? She’s all riled up. But to her last point, I don’t want the reader focusing on craft at all. I want them lost in the story. Anything that pulls them out is a fail. I think that’s true of all art. Craft should be invisible. I don’t even like the word. I admire beautiful and clever prose as much as anyone, but I want as little friction as possible between my words on the page and the actions they depict. For me, that requires ruthless editing. I know my books depend on the reader not stopping to think too much. But I want them to ponder after. A paranoid political thriller set in D.C. I’m not supposed to reveal anything else. For the record, I’m very much behind on it. The clock’s always ticking, isn’t it? Just got a stomach pang. And for a future project, I’ve been researching a shadowy organization in London. I recently made contact. If I go missing, I hope Bacon readers will follow my scent. Are you reading anything great right now? 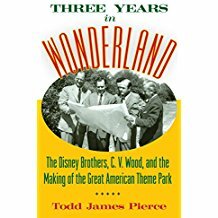 Three Years in Wonderland by Todd James Pierce. It’s a blow-by-blow account of the creation of Disneyland. We take these parks for granted, but in the early ’50s, it was such a bizarre concept that it was practically impossible to get funded and built. Walt’s own shareholders sued to make him form a separate company, so he wouldn’t bankrupt the studio. His wife made him copyright his name and lease it back to the studio for royalties, so they wouldn’t go broke (this has been quite lucrative for his heirs). Everything that could go wrong, did. The book chronicles the high drama on the treacherous road to the Happiest Place on Earth. Thank you so much for stopping in at Bacon today – and I’ll see you Monday at Parnassus! I am so happy to discover Don Winston. Just bought a suite of his prior works and the new book to gift in May to a lover of intimate, local histories and mysteries. I love that Don says the craft should be invisible to the reader. When I read fiction – that’s when I truly enjoy it and I will read those “easy chair” books over and over. Great post. I am a descendant of the Bell witch,my maternal grandmother was a Bell from Cheatam County, we never believed any thing that was told us about her 🙂 so I’m reading the book to see if I can now believe. Don, I am glad that you got a stomach pang because that is often what your thrillers do to your readers – in the good sense of course! Excited to read your latest.